Good morning! Woo-Hoo! I’m sooo excited! I can finally do another family fun Finish it Friday! It was great getting the garden weeding done (and now I can find my onions again) and getting some of the new wildflower bed sifted, but I am ready for another fun project! Since I wanted to spray bleach some t-shirts and try homemade bleach gel, t-shirts have been on my ‘to buy’ garage sale list. I actually did great saving money and using my 3 Garage sale Habits in the last 2 weeks. Of course, one day the husband drove, so it was easier to not visit all the garage sales and easier to stick to my ‘to buy’ list. I did buy all of our t-shirts for this Finish it Friday project at garage sales for under $1 each. I’m glad I waited until I found garage sale shirts to do this project- I saved lots of money and still get to have fun! 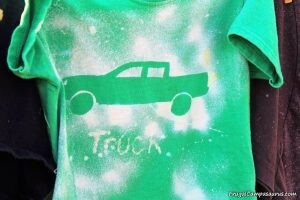 The youngest helped me with 2 different types of t-shirt projects: spray bleach silhouettes and homemade bleach gel. A bleached silhouette (spraying a weak bleach solution over a silhouette) was our first t-shirt project. This has been a great Christmas present over the years. 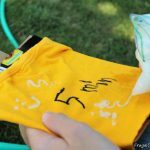 I put together a fun, frugal Christmas kit for the youngest 3 years ago: a silhouette, scrap of contact paper, a garage sale t-shirt, recycled spray bottle and directions. 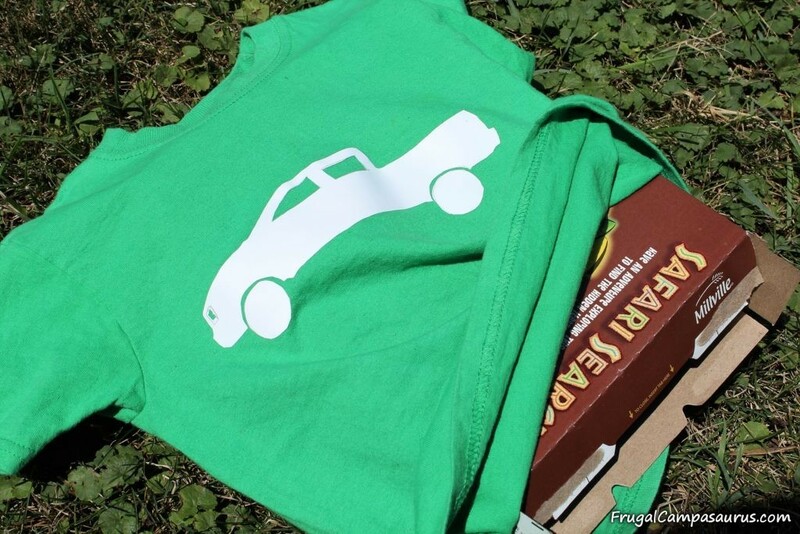 We actually did not procrastinate and that winter, made the shirt. It was so fun, that we made a dad/infant matching set when the grandbaby was born and a cousin’s Christmas present the next year. Sadly, children grow and the Christmas kit shirt no longer fits. 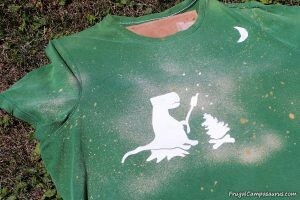 But, I’m glad the youngest was interested in making new silhouette shirts with me this week. T-Shirt I used 100% cotton shirts, I also like $1 garage sale shirts, very frugal and if the project doesn’t turn out right, they make good cleaning rags. Spray bottle and bleach I diluted the bleach with an equal amount of water, also for safety make sure to mark bottle ‘Bleach—Danger’ so no one accidentally uses it. For safety, I also never mix bleach with anything and only use water to rinse when done. 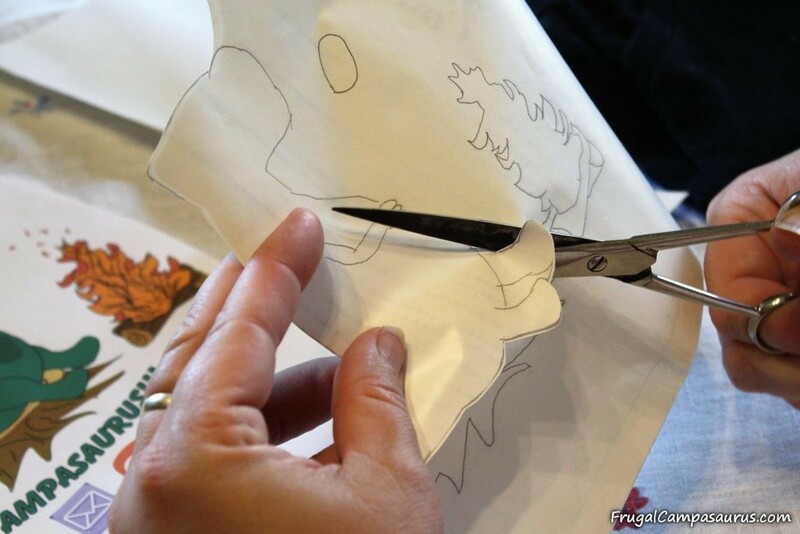 Image Outline images are best, I found it hard to cut details into the contact paper, of course I’m also very impatient and rather dangerous with the exacto knife, you might have better luck. 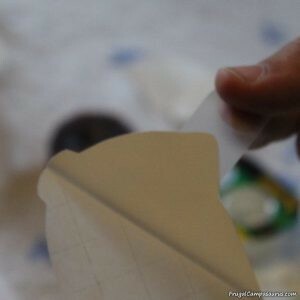 First, cut your image out of contact paper. 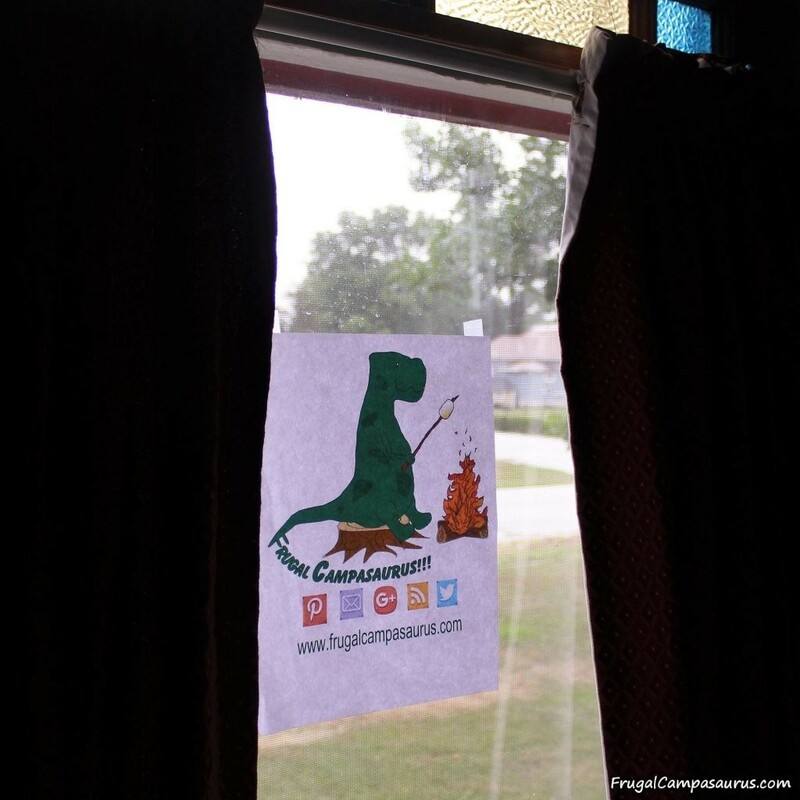 I taped my image onto the window, so I could trace it onto the contact paper. The youngest had an easier image, so first cut out the paper image and then cut out the contact paper image. I was able to stack the contact paper and cut out two at once. 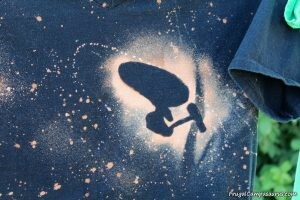 Then position the image and stick it to the shirt. I tried my shirt on, so I knew where the image would be. I’m glad I did, I ended up moving it a few times, thankfully the contact paper still stuck. Since my image had little layered parts (silly me), I had many pieces of contact paper to peel off the backing. As I looked over my glasses and then through the bifocals and then over the glasses, I grumped about this being the worst part of the project. ‘Really? It is the easiest part. You just use tape.’ Replied the youngest. Wow! He had the best tip; I don’t know how many times I said ‘Wow!’ He put a piece of scotch tape on the small contact paper parts and they just peeled apart! No more picking at it with my fingernails! Still Wow! 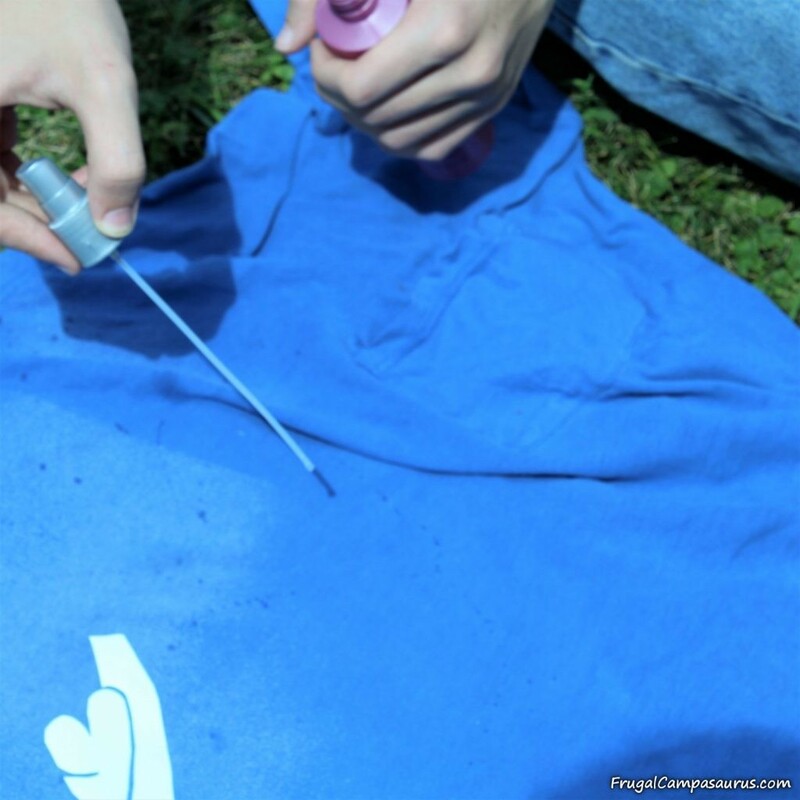 I was worried about the small pieces being close together, how much to spray and the bleach bleeding under the contact paper, so we did a test t-shirt. 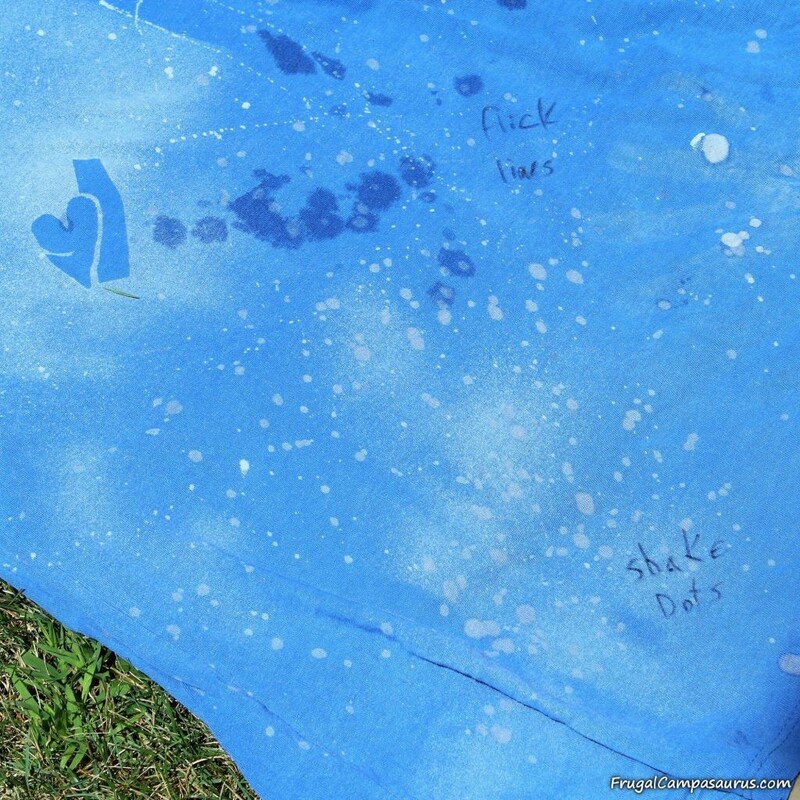 This time, we wrote on the shirt with permanent marker what we did, since I always forget before we do our next project. Of course, I could just do the projects more often. That would be fun. I was really happy with the test shirt. The close pieces were fine and the bleach did not bleed under. 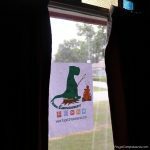 While I like the big drops and the lines of little drops as we flicked the spray tube (we opened the spray bottle and took out the nozzle, using the tube to flick drops), I did remember that I need to mist near the contact paper to get a clear outline of the silhouette. We were very lucky though. The youngest didn’t understand ‘misting’ to get a clear outline and was disappointed that half of the image didn’t show up. 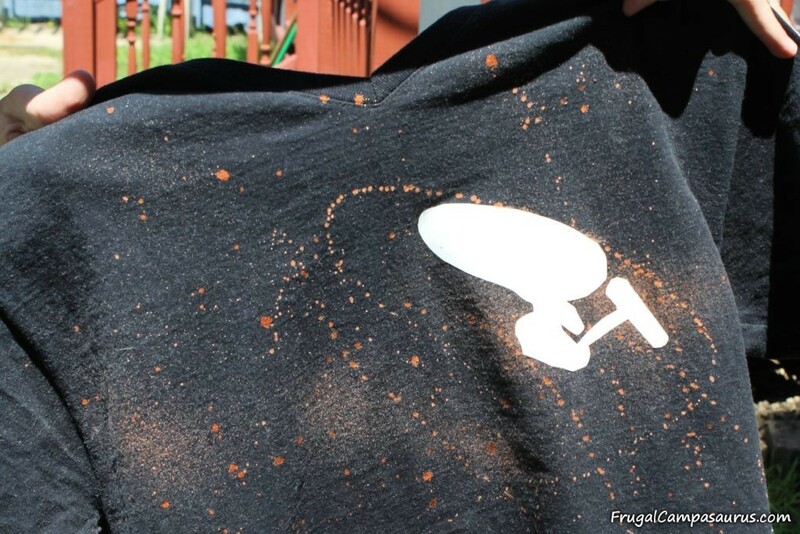 Thankfully, after the contact paper dried, it was still sticky and we reused it to respray the shirt. 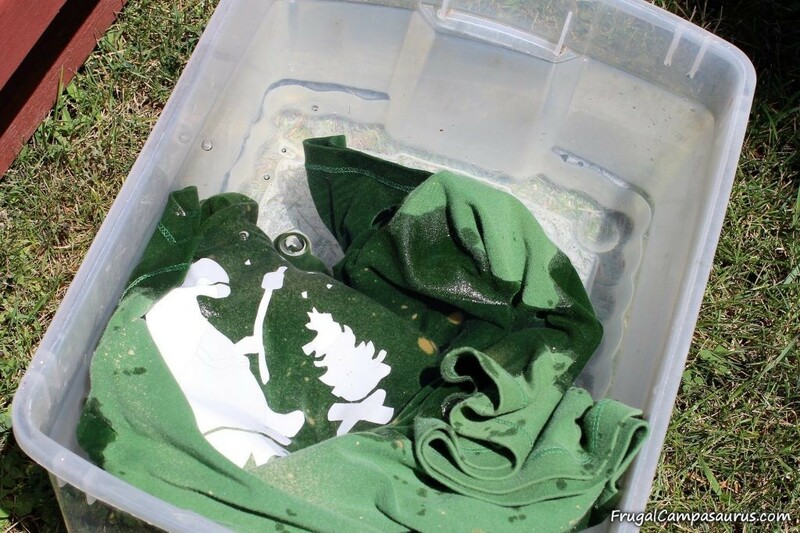 In the winter, we bleached the shirts in the tub. Today, we were able to work outside and use the hose. 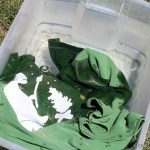 After spraying the diluted bleach over our t-shirts, we dunk them in a bucket of water and then rinse thoroughly with running water. 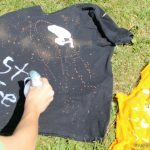 I’m not sure about the strength of bleach, but we have never gotten holes in our silhouette shirts, not even the 3 years old one. It always amazes me how quick the bleach starts to work, we are usually dunking and rinsing within about 5 minutes after spraying. 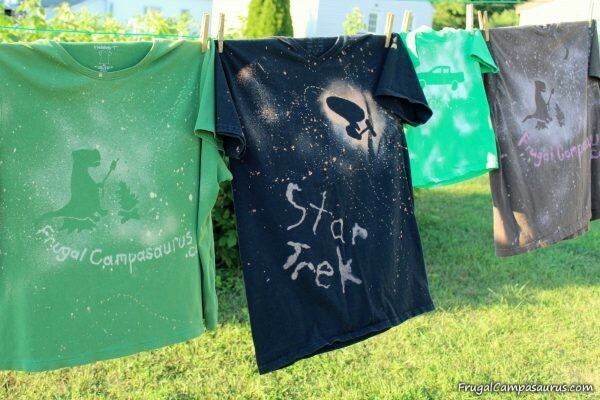 After rinsing, I do wash the t-shirts with a load of towels just in case there is still bleach on them. 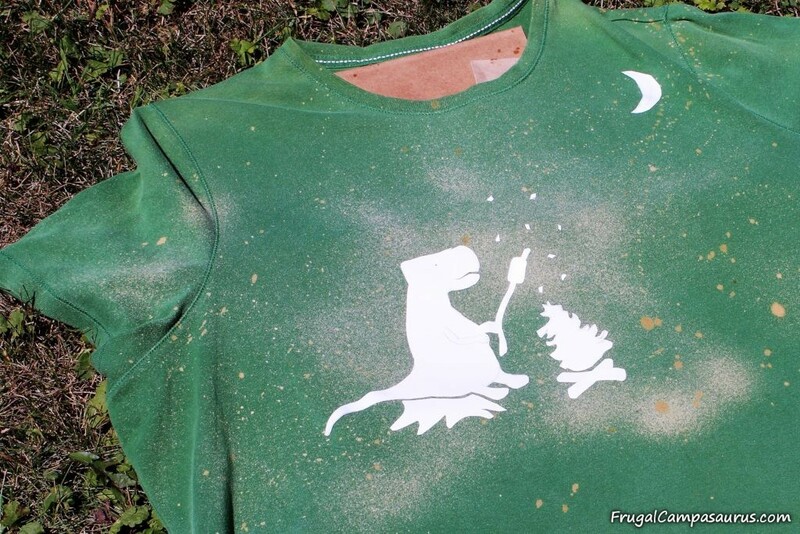 The spray bleach solution over the silhouettes is such a fun, frugal project. 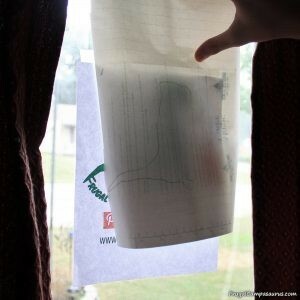 It is even a quick project, especially with the youngest’s tip about separating the contact paper. 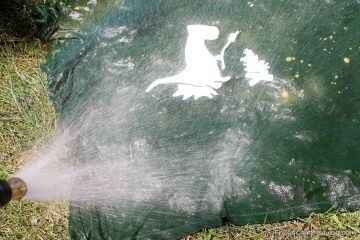 I enjoy it so much, that I decided to try another bleach project with it: homemade bleach gel. tape and contact paper silhouetteMy favorite tip- tape to separate contact paper! 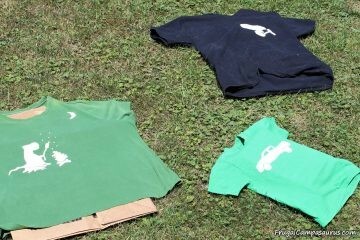 shirts all readyT-shirts are all ready for bleach spray! 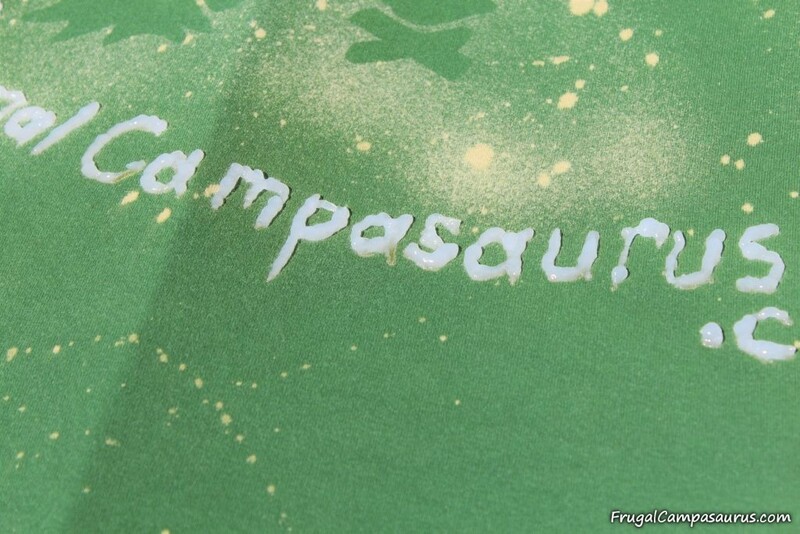 green bleached shirtWho choose the detailed design? shirts all doneWhat a fun, family project! It was an interesting project. 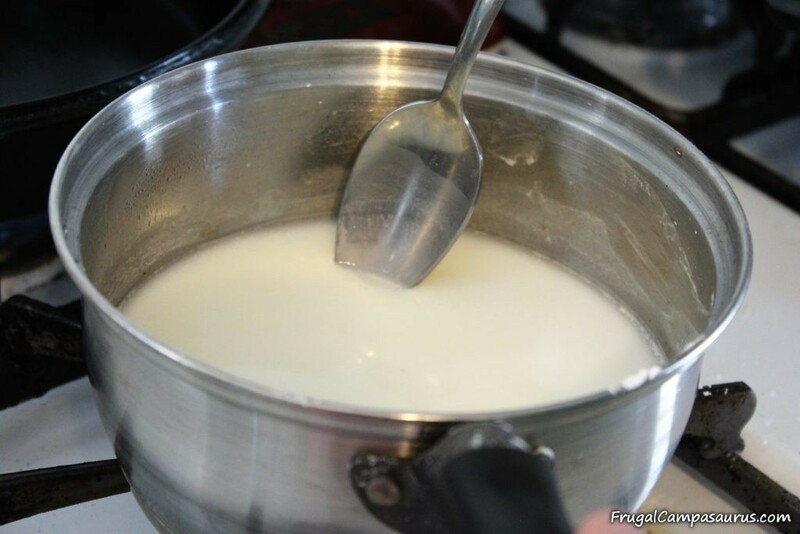 I couldn’t remember the exact recipe, but it used cooked cornstarch with water as a base. Sounded just like my lemon pie, so I used those directions. 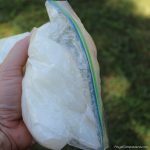 It worked to make a good thick base for the gel, and after it cooled I put it into a sandwich bag to mix with the bleach. I kneaded the gel and bleach in the baggy outside, in case there were any holes in the bag. Since I didn’t want to keep the bleach gel to treat laundry stains, I just snipped off the corner of the baggy to write letters with the homemade bleach gel. This was how I used frosting with baggies to decorate cakes before I got a cake decorating set for Christmas. But, I think I should have just made the lemon pie or a cake to decorate instead. 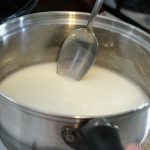 Stir and cook the cornstarch and cold water in a small saucepan, over medium-high heat. 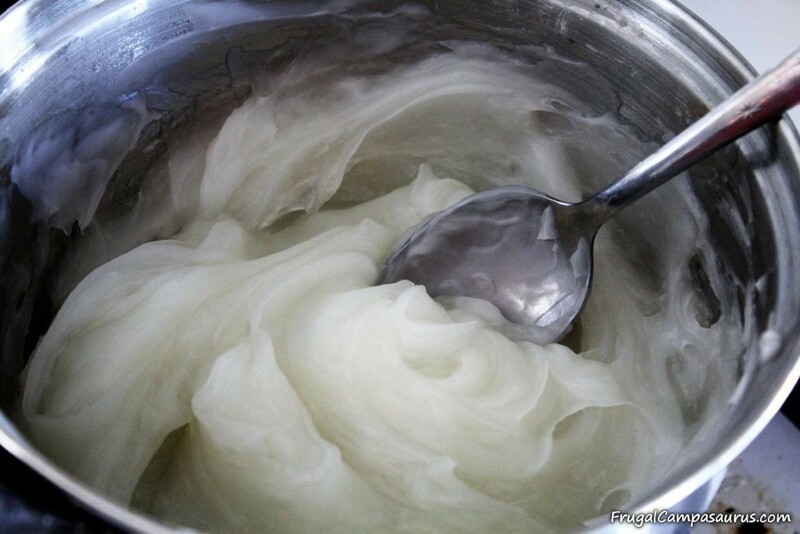 Keep stirring as it gets lumpy, thickens and changes from white to translucent. It will get very thick. Cool completely. Spoon thick gel into sandwich bag and add 4 Tablespoons of bleach. 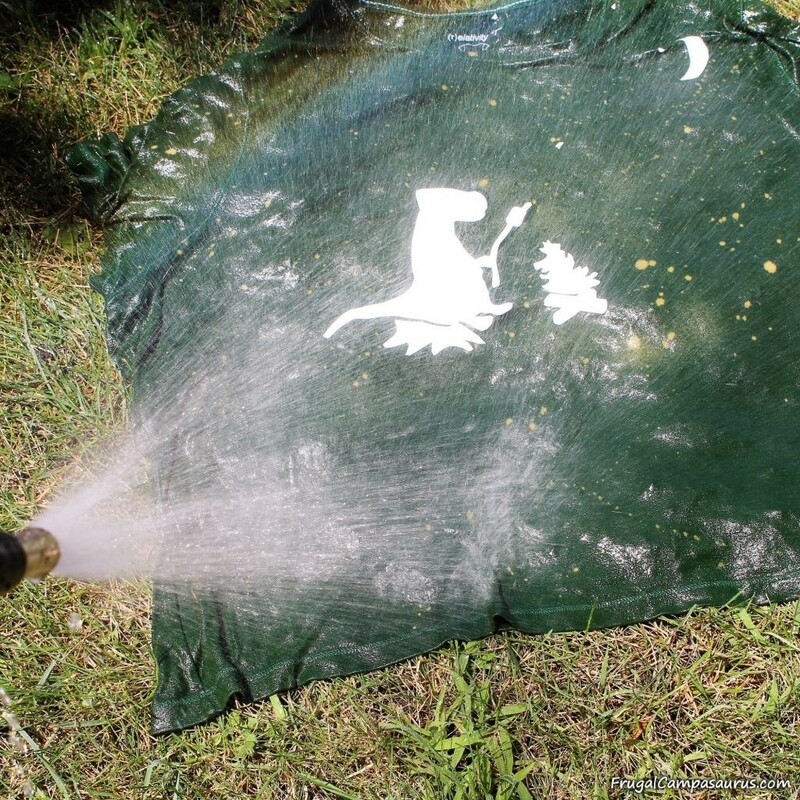 I did this outside in case there were any holes in the bag. Knead mixture together. Push gel to one corner of bag, twisting rest of bag behind it, like a frosting bag. Cut a very small corner of the bag. 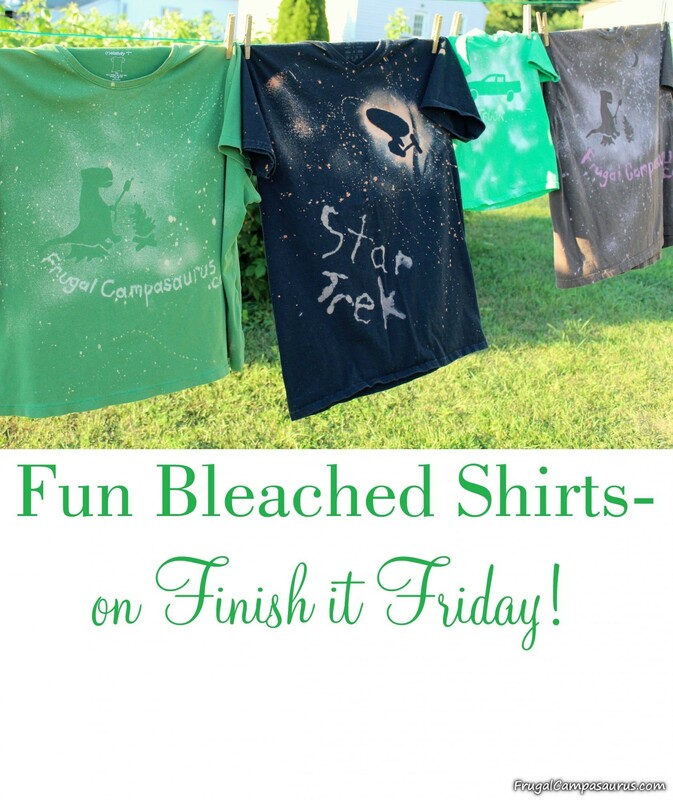 We practiced and found that 5 minutes of setting time before rinsing worked to bleach the letters/design on the t-shirt. We did have a problem with lumps plugging the hole. 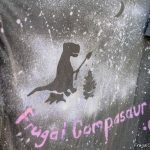 When it would stop coming out, I would move it away from the project and knead the gel, or squish it out onto a rag with my fingers before starting to write again. Just like frosting, if you squeeze the bag tooo hard, it will burst. We were also working outside, and it got thinner as it sat in the sun, though it still had lumps. 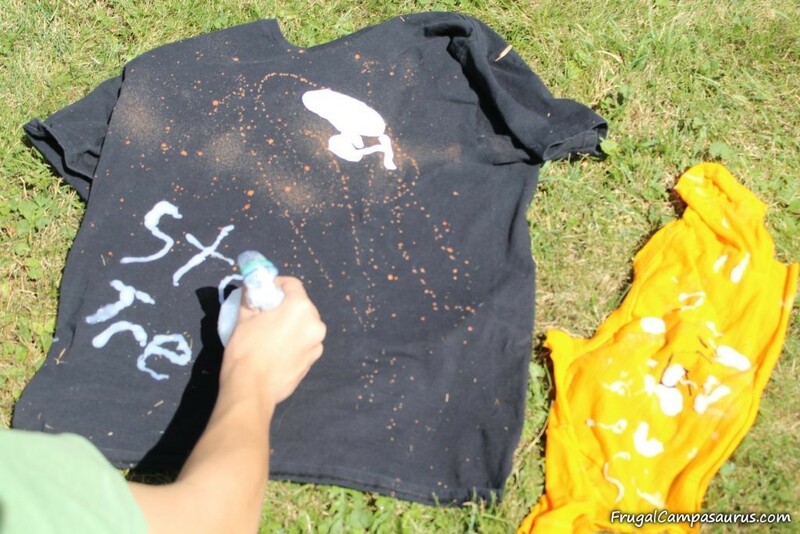 Some of the projects turned out fine, some were ok, but when we were all done, we decided to not use the homemade bleach gel again. Though, as we were doing show and tell with the family, the middle one asked if we used a paint brush with the gel for the letters. Duh!!! That might work a lot better! We might have to try it again someday. 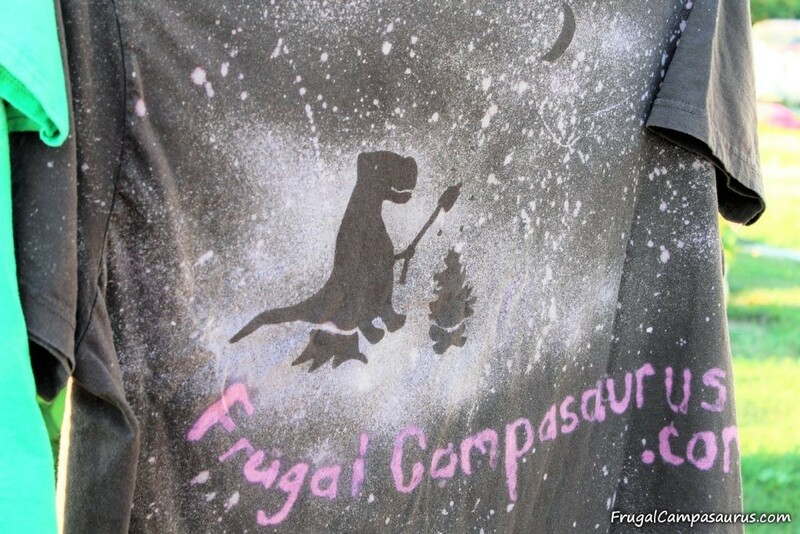 It was a fun, frugal Finish it Friday project. Hope you find something fun to do with your family this week.